Price varies from Rs 1000/- to Rs 1 lakh based on the specification of the products. 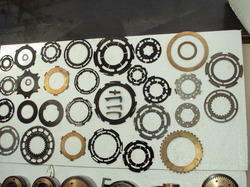 We are fruitfully catering to the assorted demands of the customers by providing Clutch Drive Plates. UHMWPE liner used as wheel for vehicle for pond cleaning purpose. With an intention to enhance the standing we have built, we are occupied in offering a wide collection of Friction Steel Plate. 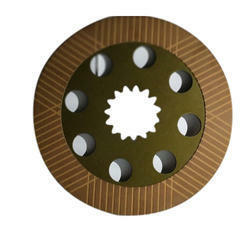 While standing on the highest expectations of our esteem clients, we are engaged in providing wide range of Brake Friction Plate in the market which is used in various industries. The advance technology and quality components used in the development of these plates make them at par with prefixed industrial standards. We Deals in JCB Friction Plate of best quality. Our firm is affianced in presenting a sophisticated range of Friction Plate. Our experts make these products by utilizing the top-grade raw material and sophisticated technique. Our products are broadly used in commercial places due to their top performance and low rate. This Driving Plate is corrosion resistant and delivers a consistent performance.